The post Let’s Hear From 5 Scenthound Dog Breeds by Lynn M. Hayner appeared first on Dogster. Copying over entire articles infringes on copyright laws. You may not be aware of it, but all of these articles were assigned, contracted and paid for, so they aren’t considered public domain. However, we appreciate that you like the article and would love it if you continued sharing just the first paragraph of an article, then linking out to the rest of the piece on Dogster.com. We humans developed dog breeds for many purposes — there are guard dog breeds, farm dogs and herding dog breeds, to name a few. 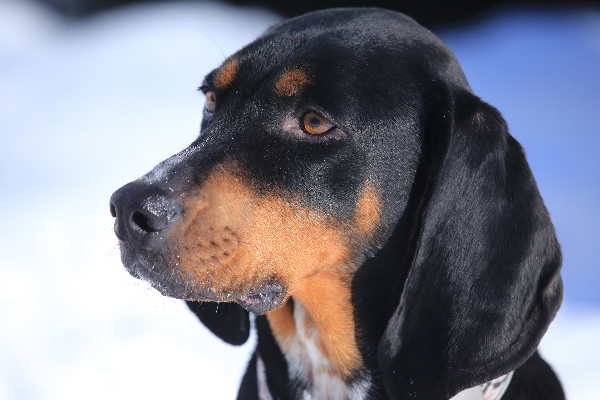 Scenthound breeds, with their high desire to pursue prey, were bred to hunt game by scent, not sight. Their charming companionship is an added bonus. Most scenthound dogs certainly are too people-friendly for guard work. Built for endurance rather than sprinting, scenthound breeds track their prey even when the prey is out of sight. Scenthound dogs typically corner or tree their quarry, and then vocalize with bays, howls or barks so hunters can find them. When the scenthound’s self-governing, strong-minded personality proves challenging in structured obedience classes, we may label them as among the dumbest dog breeds. Let’s ask five scenthound breeds to set us straight on their brainpower. 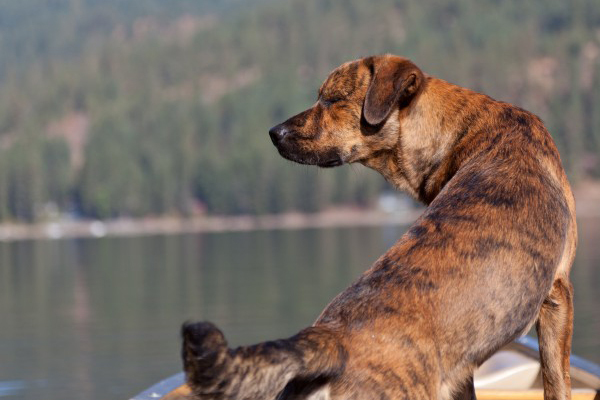 Plott Hounds are independent-thinking scenthound dogs. Photography by Will Hughes / Shutterstock. Yes, we scenthound breeds often think for ourselves. Our ancestors needed the capability, tenacity and self-governance to work at a distance from humans in the mountains of North Carolina. Tough and gritty hunters, we were developed by the Plott family to pursue boar, wild cats, coyotes, wolves — and other wildlife-threatening livestock. We tracked, ran down, treed and sometimes fought these predators. There was often no human nearby calling out commands. We relied on our own courage and intellect to avoid getting mauled by these animals. Dachshunds are small but mighty scenthound dogs. Photography © DjelicS | iStock / Getty Images Plus. We call foul on the fiction that we’re challenging students. To begin with, who’s defining what’s worth learning? We’re easily distracted by scents, but you humans developed us for this exact single-mindedness. We were bred centuries ago in Germany for a distinctive shape that enabled our hunting. Our long bodies and short legs allowed us to chase hole-digging badgers as they tunneled. This arduous work certainly didn’t involve blindly obeying human commands. But generally speaking, we will follow your basic indoor rules just fine. We’re truly agreeable living companions. And some of us, by the way, do have obedience titles! Black and Tan Coonhounds are mellow when not on task. Photography ©aMikeK | iStock / Getty Images Plus. Although we’re dependable hunters, we’re usually mellow when not on the job. We’re an all-American breed, developed to stay on the track of possum and raccoon (and bigger prey, too) — even in difficult conditions. Like many scenthound dogs, we’re notorious for stamina, not speed. We follow scents and then vocalize to give notice when we locate quarry. Our human families find us cordial and smart, but discriminating as to which of their commands we obey. Such discernment, by the way, is arguably the opposite of stupid. 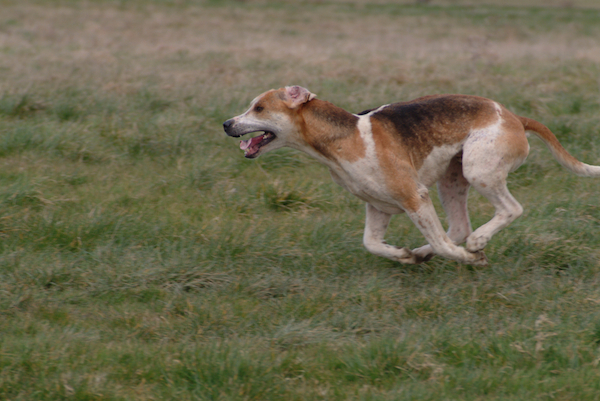 American Foxhounds are vocal scenthound dogs. Photography by RHIMAGE / Shutterstock. We’re light, tall and streamlined scenthound dogs with a gift for tuneful baying and harmonious howling. We adore running full throttle, but we’re also affectionate with people and mannerly around other dogs. Like our cousins above, we’re also all American. Developed from strains of foxhounds in colonial America, we were bred by the gentry for fox hunting. If we’re well-exercised, our families will find us sweet and relatively calm indoors. Now, remember that our abilities to learn commands have no bearing on our willingness to perform them. For example, if we catch an exciting scent, we may ignore your requests to fetch a ball. Actually, we may ignore most of your fetch requests. Our name says hound, not retriever. Our name might give our history away. We Harriers were developed in England to hunt in packs for (surprise!) rabbits. We were developed to trail so that hunters on foot could keep pace. Affable and cheerful, we’re also independent and absorbed with what our noses find. While we don’t intend to bring frowns to your face, we’ll acknowledge that we’ll run out the door (despite your pleas to the contrary!) to follow scents. We’re proud of our musical voices — we may sing when we’re excited about prey, your arrival home … or a great meal forthcoming. 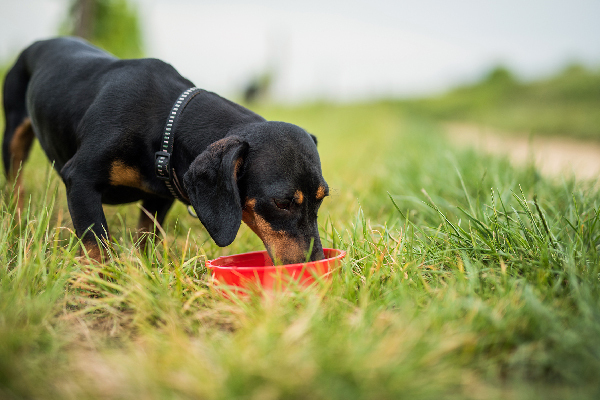 Tell us: Do you have a scenthound dog? What breed or mix of breeds is she? Thumbnail: Photography by Steve Heap / Shutterstock.